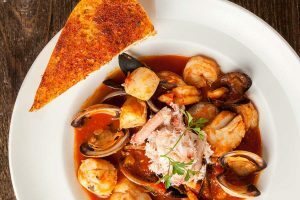 It’s a heated battle at Bluewater Grill, and a delicious one—the popular seafood landmark is hosting its annual culinary showdown between Europe’s two famous fish stews (French Bouillabaisse and Italian Cioppino). 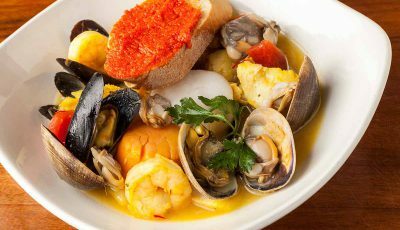 The Bouillabaisse vs. Cioppino tasting event is a month-long promotion, and includes separate bowls of French Bouillabaisse, made with saffron and garlic, and a tomato-based Italian Cioppino, for $34.95. 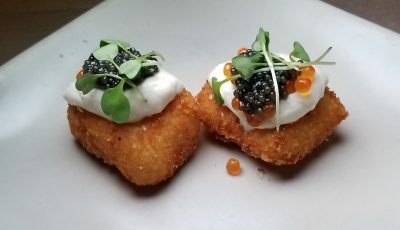 I’m always up for a good food fight, so I dined at Bluewater last week to see which dish pleased my palate. As Bluewater fans know, dinner always begins with the famous sourdough bread, delivered to the table warm with butter. 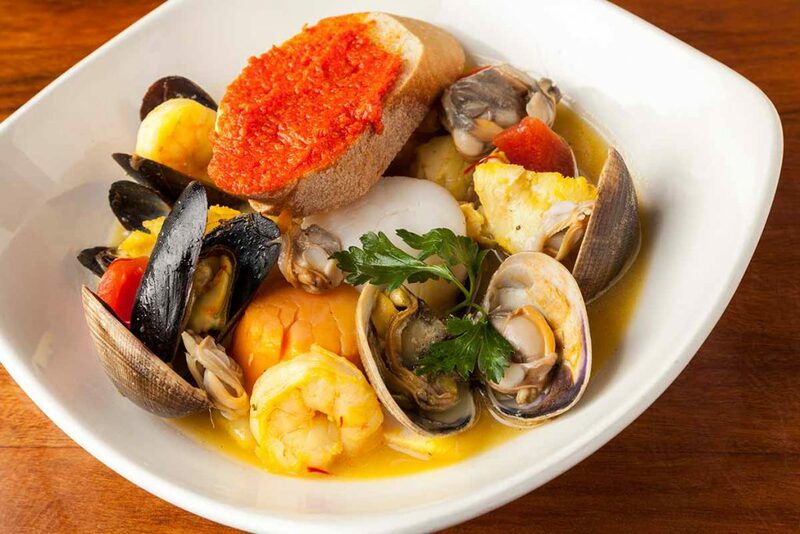 Up first is the French Bouillabaisse, a generous bowl of broth filled with clams, muscles, shrimp, whitefish and other delicious seafood delicacies. I saved some bread to dunk in the sauce, and soon wiped the bowl clean. The bouillabaisse was paired with a lovely glass of French pinot blanc. My server brought more bread to accompany the second course: the Italian Cioppino, served in a large bowl with red sauce and loaded with more seafood. Again, so good I mopped up the sauce with the remaining bread. 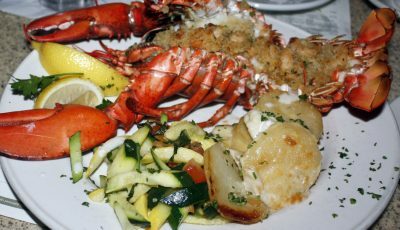 By the way, if you order the seafood battle, the wine is separate but worth it, especially to accompany the bouillabaisse. An Italian red is available for the cioppino. So which dish wins on my score card? Both were delicious, but I favor the French Bouillabaisse, partly because of the wine pairing, and partly because the broth is so good. To launch their monthly promotions, Bluewater hosts a tasting event every second Tuesday, feature seasonal seafood specialty items paired with hand-selected wines or specialty draught beers—so if you attend that night’s tasting, the paired beverages are complimentary. National New England Chowder Day (Jan. 21) and National Clam Chowder Day (Feb. 25): Free cup of chowder with purchase of a lunch or dinner entrée at the regular price, plus $7.95/pint takeout price that includes sourdough bread and butter. Good on Jan. 21 and Feb. 25, 2018, only. “From Europe with Love” February Tasting ($34.95 on Feb. 6): Bluewater borrows from the countries that wrote the book on romance – France and Italy – for this year’s February tasting and celebration. 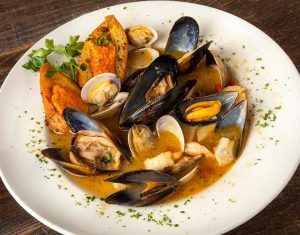 The $34.95 menu special Bluewater versions of French Bouillabaisse and Italian Cioppino followed by a split of Chocolate Lava Cake or Key Lime Pie and paired with Domain Ste. Michelle Brut or hand-selected French and Italian wines. 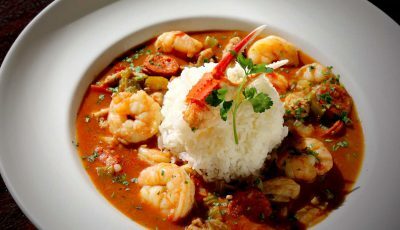 “Taste of Louisiana” March Tasting ($34.95 on March 13): Bluewater combines California-inspired versions of Redfish, Gumbo and Crabcakes with specialized drinks designed to bring out the flavor and turn up the heat. Also featured are Bluewater Grill Oysters Rockefeller. National Crab Day (March 9) and National Oysters on the Half Shell Day (March 31): Maryland-Style Crabcakes are $8.95 (savings of $5.05) on March 9 only. Oysters on the Half Shell are $9.95 ($5.55 savings) on March 31 only. St. Patrick’s Day (March 16-17): High Spot IPA Beer Battered Fish & Chips and a pint of IPA is $17.95 for lunch and $20.95 (savings of $6.30 and $7.30). Pints of Guinness are $5, Irish Coffees are $3 and Corned Beef and Cabbage with Boiled Potatoes is $16.95. Good on Friday, March 16, and Saturday, March 17. 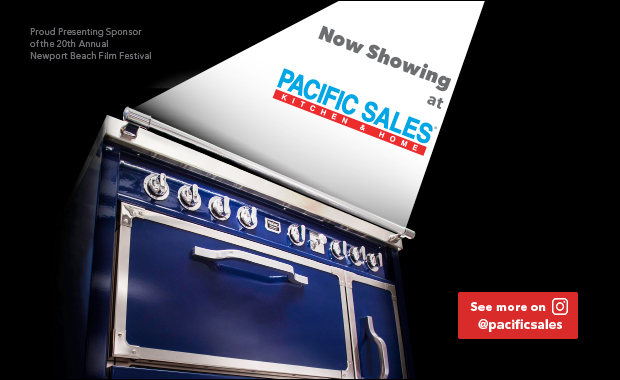 For more information, visit BluewaterGrill.com.